Walking distance to all of the important tourist locations in Kanazawa. Only a few minutes away from a vast choice of places to grab dinner. Due to the fact that there was renovation being done in the of the hotel the staff did an EXCELLENT job especially under those difficult conditions. Very close to Katamachi with a great assortment of amenities in the room. Decent sized bed. Polite staff. Excellent staff, it is in a good part of town, and the room was really nice. The sento was really nice as well but you need to go to a different APA hotel close by to use it. Great location not far from bus route, staff very friendly and helpful. Room is very good. Location is a bit far from public transportation I.e bus stop but can easily walk. Comfortable bed (though small) and good bathroom. Fsntastic location, just a few doors from a station and surrounded by restaurants and attractions. Handy to Ueno. APA Hotel Kanazawa-Katamachi(newly renovated) This rating is a reflection of how the property compares to the industry standard when it comes to price, facilities and services available. It's based on a self-evaluation by the property. Use this rating to help choose your stay! One of our best sellers in Kanazawa! A 5-minute walk from Katamachi Bus Stop and an 8-minute drive from JR Kanazawa Train Station, APA Hotel Kanazawa-Katamachi(newly renovated) offers massages and free wired internet. The air-conditioned rooms include an LCD TV, a fridge and a microwave. Video-on-demand movies are available for purchase in each compact, modern room at Kanazawa-Katamachi APA Hotel(newly renovated). All rooms have a desk and an electric kettle with green tea. You can soak in the private bathtub or try on the Yukata robe. Free Wi-Fi is available in all rooms. 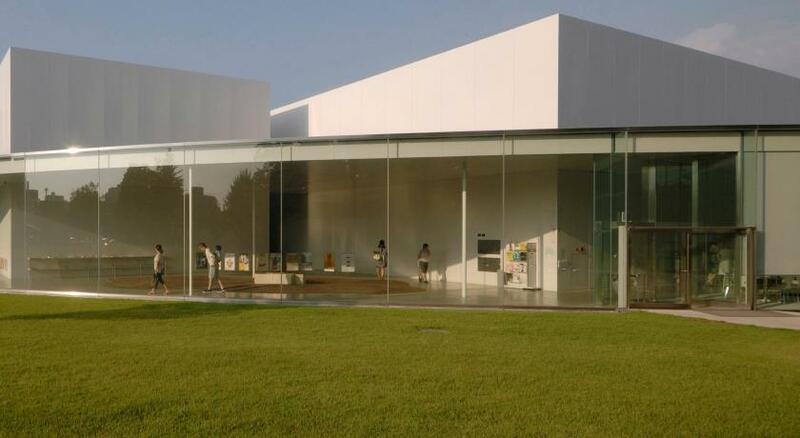 The hotel is about a 15-minute walk from Kenroku-en Garden and 2,650 feet from the 21st-Century Museum of Contemporary Art, Kanazawa. Komatsu Airport is a 50-minute drive away. The buffet breakfast features various Japanese and Western dishes including salad, eggs, toast and rice. Laptop rental and luggage storage are offered at the 24-hour front desk. Guests can find a coin launderette on site. Guests can use the sauna at sister hotel APA Hotel Kanazawa Chuo, a 5-minute walk away. This is our guests' favorite part of Kanazawa, according to independent reviews. When would you like to stay at APA Hotel Kanazawa-Katamachi(newly renovated)? Air-conditioned room with a wood desk, a fridge and an electric kettle with green tea. You can soak in the private bathtub or try on the Yukata robe. Video-on-demand movies are available for purchase. This twin room features air conditioning, electric kettle and view. House Rules APA Hotel Kanazawa-Katamachi(newly renovated) takes special requests – add in the next step! APA Hotel Kanazawa-Katamachi(newly renovated) accepts these cards and reserves the right to temporarily hold an amount prior to arrival. A Western and Japanese-style breakfast buffet is served at an additional cost between 06:30-10:00 on weekdays, and 07:00-10:00 on weekends and holidays. Please note meals for children aged between 4-12 are not included in the rates, and additional charges are applicable. Please kindly be informed that no refund will be given for breakfast under any circumstance. Please inform APA Hotel Kanazawa-Katamachi(newly renovated) of your expected arrival time in advance. You can use the Special Requests box when booking, or contact the property directly using the contact details in your confirmation. The WiFi was not reliable and I would be disconnected frequently. Since I depend on WiFi for information and communicating while traveling this made my stay very unpleasant and frustrating. Double room a bit small for two with suitcases. Bed a double so a bit cramped for two Westerners. Rooms were generally very clean and very spacious. Incredibly good location as well! It was very windy and the windows rattled a bit but it didn’t keep me awake. It’s a good hotel, convenient and pretty central to attractions.Lots of food venues nearby. We like it and have stayed here before. It looks like there has been an upgrade, we were happy with our surroundings and would come again. It is a budget hotel.